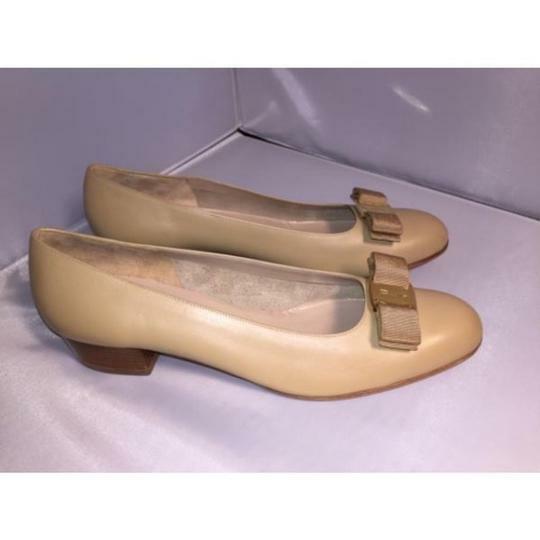 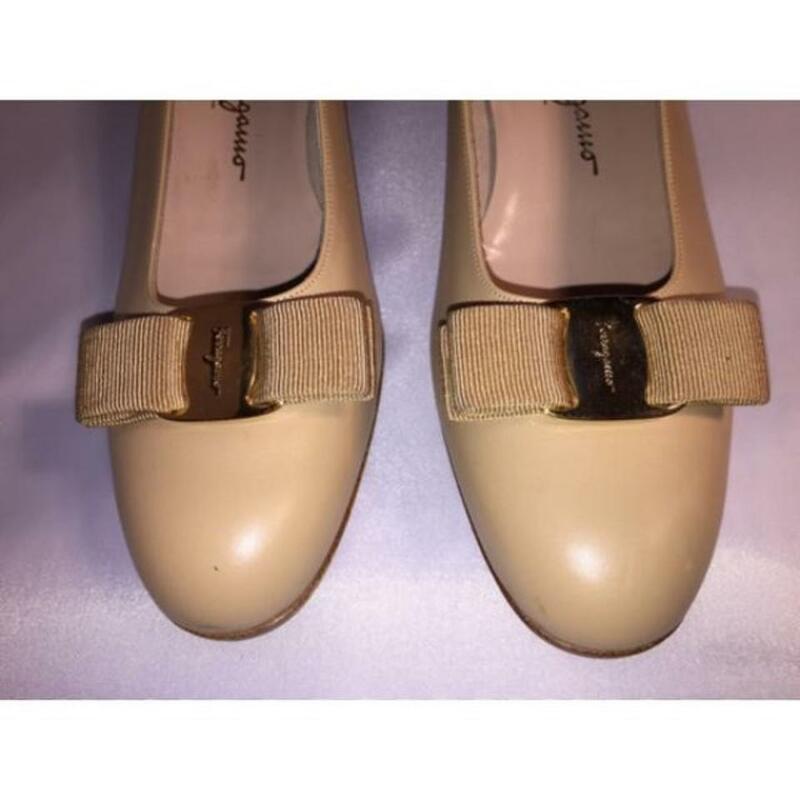 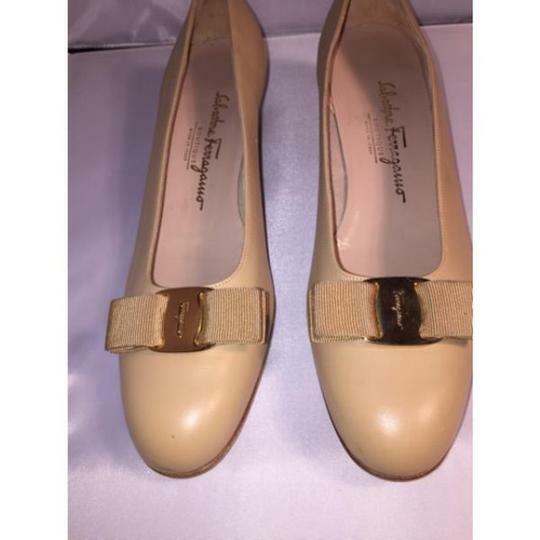 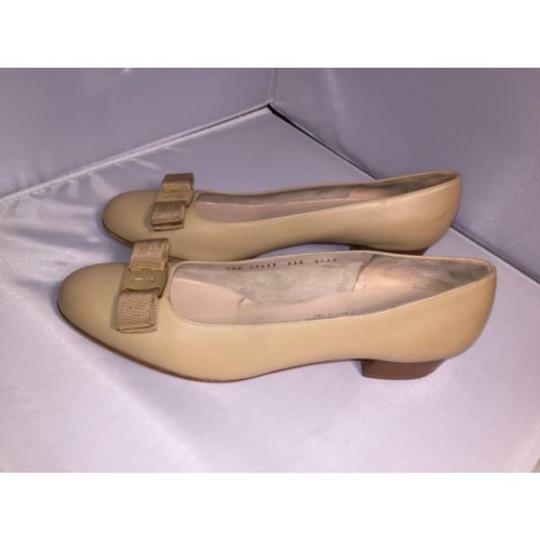 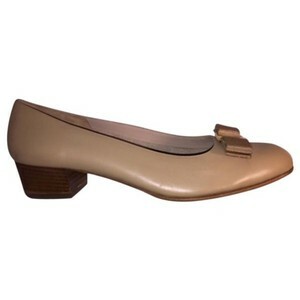 NEW WITHOUT BOX size 9.5 AA tan calfskin block heel loafers with gold tone metal signature accent and bow over the toe. 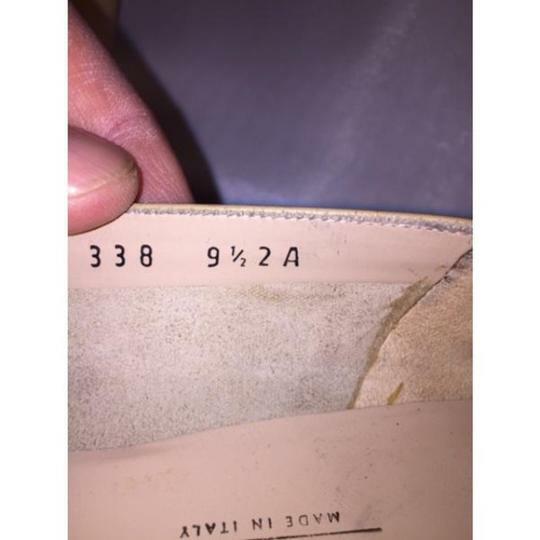 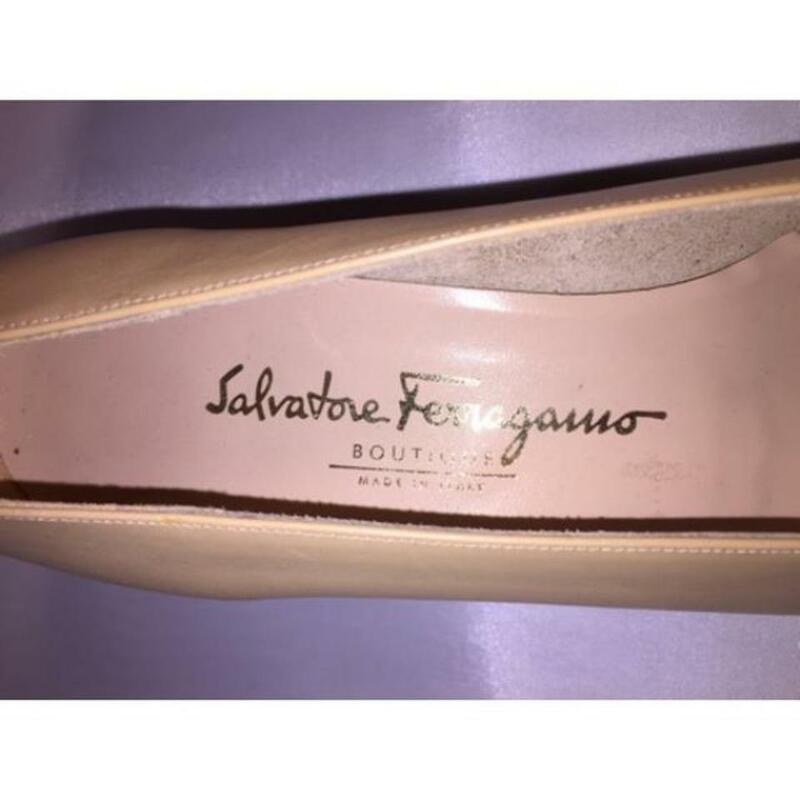 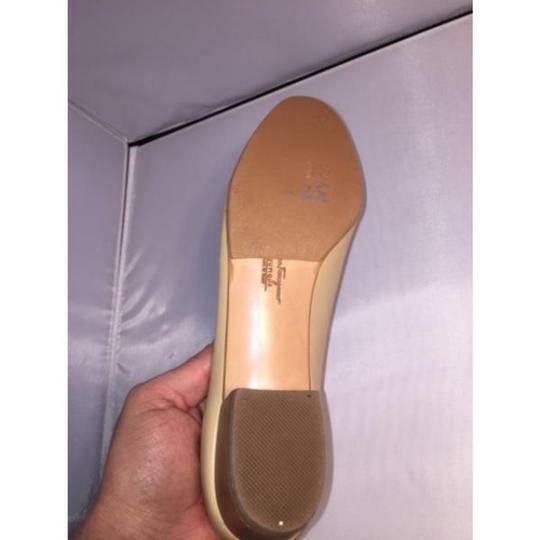 these shoes have never been worn, but the leather soles were half-soled with rubber at the front to make them less slippery. 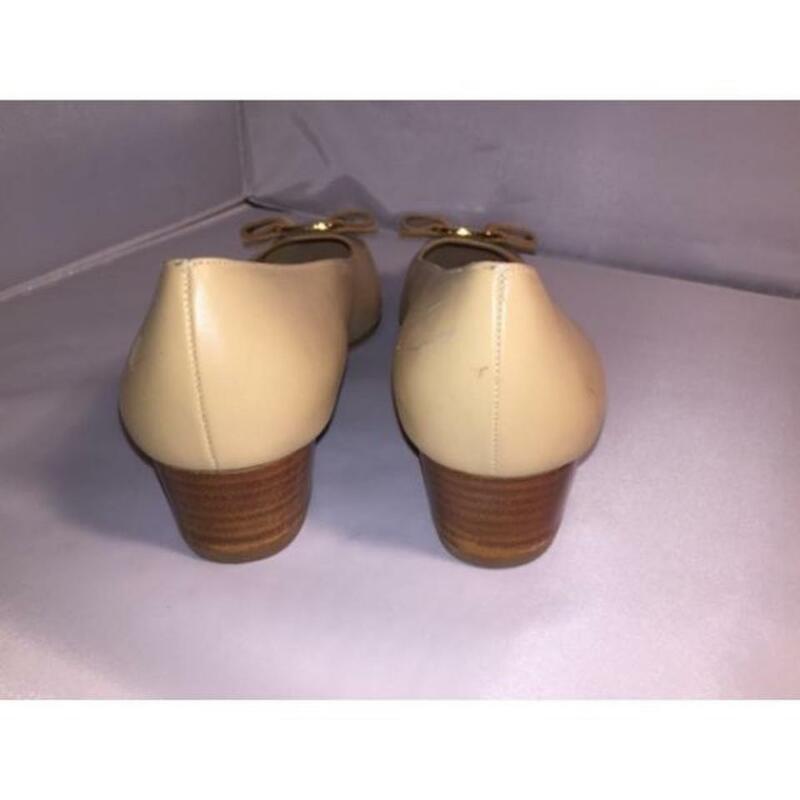 beautiful shoes, ready to wear!